“India is deeply committed nationally and globally to achieving all public health goals. Together we are working towards providing highest possible standards of health care for our citizens. 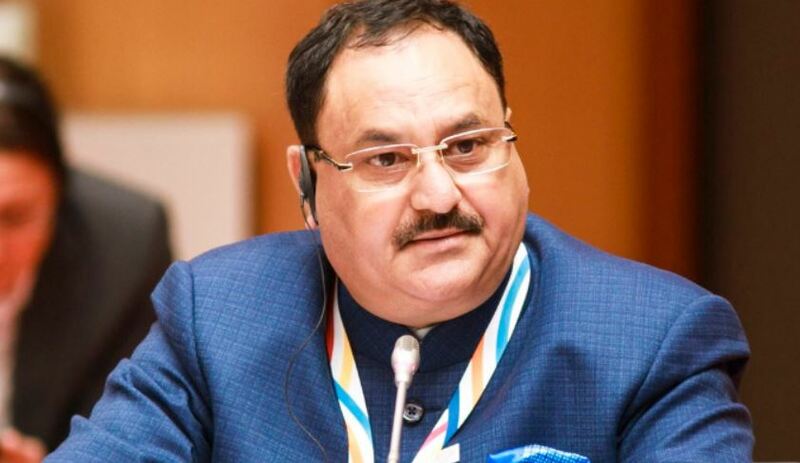 Universal health coverage is key to the Sustainable Development Goals 2030 agenda and to which India is firmly committed.” This was stated by Shri J P Nadda, Union Minister of Health and Family Welfare during his address at the inauguration of ‘2nd World Conference on Access to Medical Products: Achieving the SDGs 2030’, here. At the function, J P Naddareleased the Position Paper and launched the Information Sharing Platform Gateway for South-East Asia Regulatory Network (SEARN) developed by Centre for Development of Advanced Computing, which will promote regulatory and health collaboration among the countries of the South-East Asia Region. ShriAshwini Kumar Chaubey, Minister of State (HFW), Smt. Anupriya Patel, Minister of State (HFW), SmtPreeti Sudan, Secretary (Health), Dr.BalramBhargava, Secretary, Dept. of Health & Research (DHR) and DG, ICMR,Dr Mariângela Batista GalvãoSimão, Assistant Director-General for Drug Access, Vaccines and Pharmaceuticals, WHO Geneva, Dr.PoonamKhetrapal Singh, Regional Director, WHO SEARO, Dr RK Vats, Additional Secretary, Health Ministry, andDr.HenkBekedam, WHO Representative to India, also graced the occasion.State Health Ministers and Principal Secretaries from several states in India were also present. Speaking at the function, ShriNadda said that the National Health Policy 2017 is dedicated to the highest possible standards of health for the country. “The Government has launched Ayushman Bharat, a National Health Protection Scheme, which envisions health assurance of 5 lakh rupees (6815 USD) per family per year, will benefit over 50 crore (i.e. 500 million) people, and is the world’s biggest health assurance scheme. He further added that since its launch on 23rd September, 2018, more than 50,000 people have availed of services under the scheme. The Union Health Minister stated that access to medical products and creating an enabling legal and trade environment for public health are critical to achieving the Sustainable Development Goals 2030 Agenda. “These issues require continuous engagement and dialogue. I believe that the Health Ministry with active partnership of other ministries in Government of India will move forward in leaps and bounds,” he said. The Union Health Minister further added that India is actively contributing and providing support for the South-East Asia Regulatory Network (SEARN) to guarantee access to high-quality medical products. ShriAshwini Kumar Choubey, Minister of State for Health and Family Welfarehighlighted the importance of traditional medical system in achieving the health goals. He stated that strengthening R&D and upholding education standards in the Indian Systems of Medicines, promoting the cultivation of medicinal plants used, and working on Pharmacopoeia standards are areas with positive public health potential outcomes. “The diagnosis of modern medicine combined with the treatment modalities of the Ayurveda, Yoga, Homeopathy and other systems of AYUSH will help in giving a holistic approach to treatment,” ShriChoubey said. SmtAnupriya Patel, Minister of State for Health and Family Welfare said that Sustainable Development Goals are the mantra for a better future for all and access to medicines is a critical factor for success of the SDG Agenda that aims to ensure healthy lives and promote well-being of all people of all ages. “Universal Health Coverage and access to medicines is also one of the regional flagship priorities for countries in the WHO South-East Asia region,” she added. She stated that India is committed to attainment of the highest possible standards of health for its citizens. Dr TedrosAdhanomGhebreyesus, Director General, World Health Organization through his video address stated that WHO has embarked on the 13th Global Programme of Work (GPW13) for strategic direction in Sustainable Development Agenda 2030 (SDG) for health which is vital for the future of our world. GPW 13 is structured around the “triple billion” goal for three interconnected strategic priorities of Healthy Lives, Universal Health Coverage and health emergencies. ‘Reliable access to effective, safe, quality-assured and affordable medical products are keys to making progress towards Universal Health Coverage (UHC) and the SDGs,’ he said. The main objective of the 2nd World Conference 2018 is to take forward the recommendations from the 1st World Conference 2017 and build on the work done for access to medical products in the context of SDGs (including trade agreements) in line with GPW 13 of WHO, foster new approaches in innovation landscape for medical products and health technologies for accelerating research and innovation and identify knowledge, information and policy options on the interface of international trade and health to achieve SDG 2030 goals.